The challenge: lead your people to prosperity in a developing country with a growing population, fragile food supply, and a changing climate that threatens the agriculture sector. 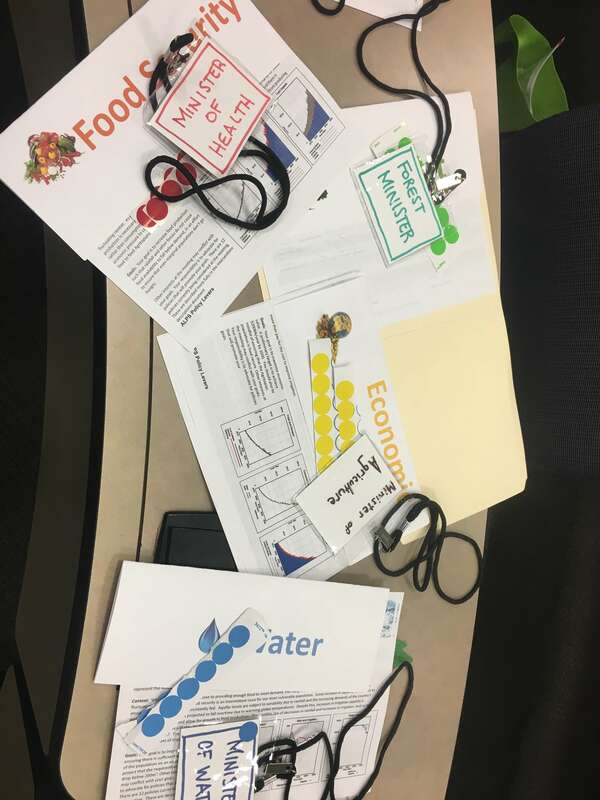 In Agritopia, a lively role-playing game for groups, participants will debate agricultural policy and learn their decisions’ effects on the country’s future. 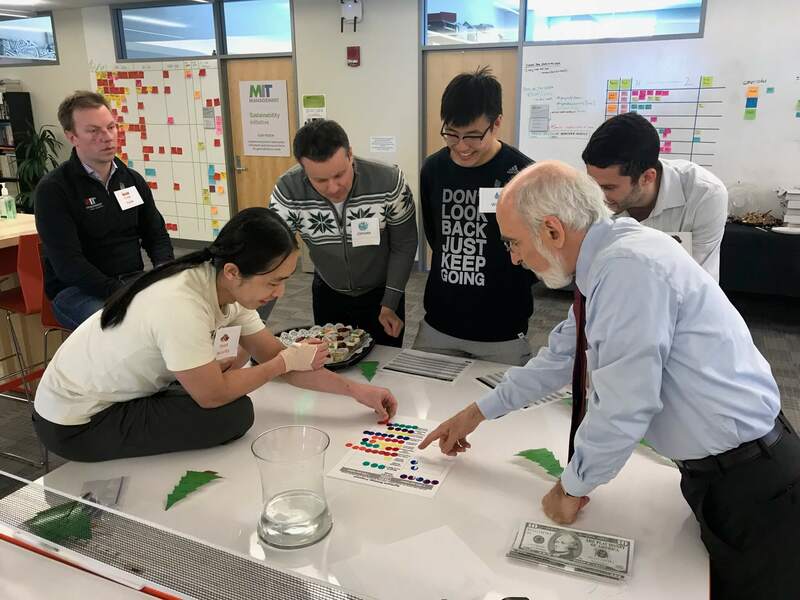 Agritopia allows participants to explore the interconnected dynamics of economic development, agriculture policy, and climate change. It uses an interactive computer model, the Agriculture and Land Policy Simulator (ALPS), to rapidly analyze the results of the decisions made during the event. All the materials and tools for Agritopia are available for free, and we encourage you to host an Agritopia game yourself. Agritopia takes about 1.5 hours to play and requires at least 5 participants, with 1 or 2 facilitators to lead the game. Participants role play as the leaders of the African country of Agritopia and form 5 interest groups, each led by a government Minister who speaks for the group. 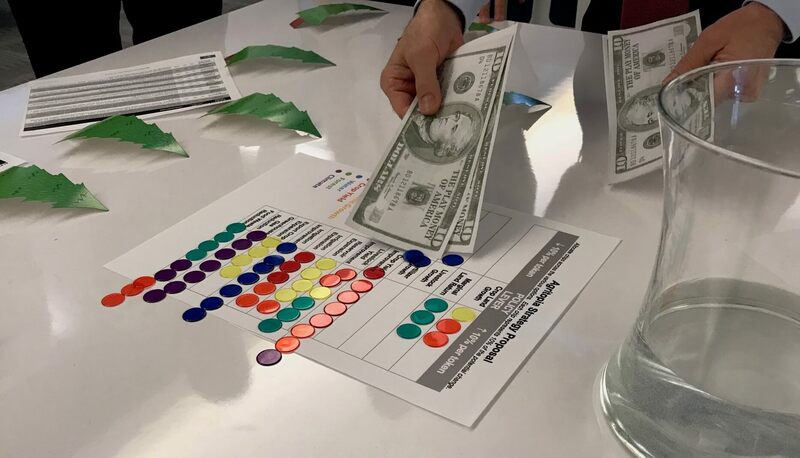 Each group has a certain amount of political power, represented by colored tokens, that they can “spend” on policies that are favorable to their interests. In two rounds of play, groups must negotiate amongst themselves and with other groups to achieve their policy goals. 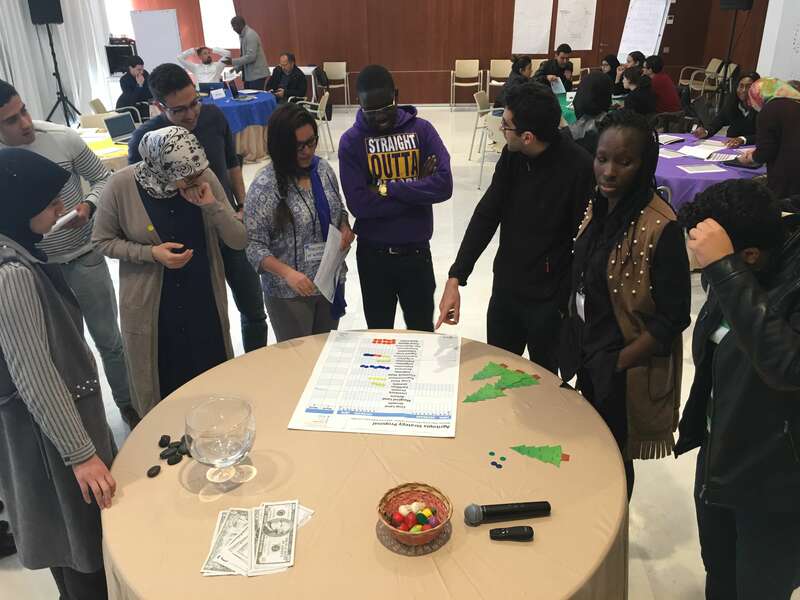 After each round, the policies chosen by the participants are tested with the ALPS computer model to determine their consequences for the country, for the climate, and for the groups themselves. Have you run an Agritopia event? Register it here.